Coimbatore : Makkal Neethi Maiam president, Kamal Hassan Friday called on Superintendent of Police, R Pandiarajan here and told him that he can earn the respect and trust of the people if he succeeded in delivering justice to the 7-year old girl, who was sexually assaulted and brutally murdered in Thudiyalur on the outskrits. Kamal Hassan, who had flewn from Chennai to meet the girl’s parents to console them, had met Pandiarajan and pointed out the mistake made by him in the past. “Pandiarajan should ensure the culprits are punished. 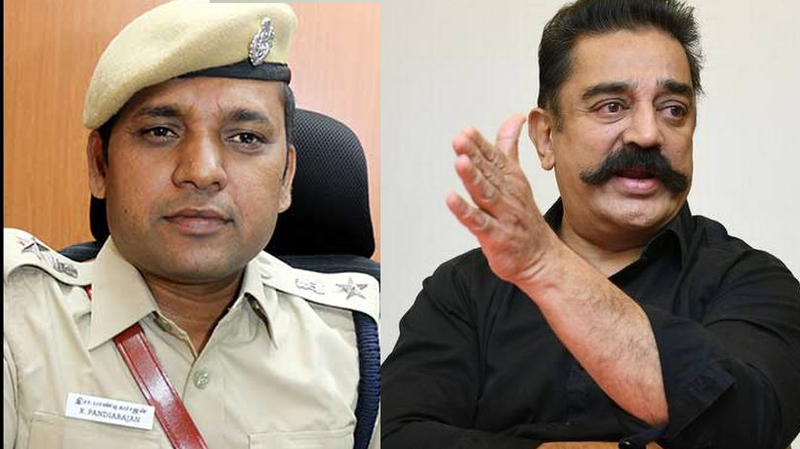 This way the SP can earn back the respect and trust of the people of Thamizh Nadu,” Kamal Hassan, said. The actor-turned politician spoke to the police official about delivering justice to the 7-years-old girl and her family, emphasizing on the fact that the girl deserved justice to be delivered swiftly, for which Pandiarajan assured to take action.